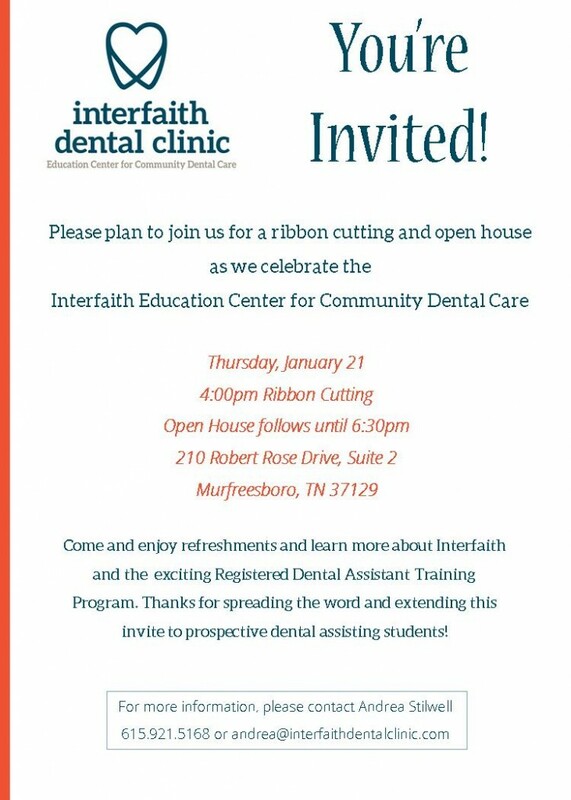 Mark your calendars for a ribbon cutting and open house to celebrate the Interfaith Education Center for Community Dental Care. Come and enjoy refreshments, learn more about the Interfaith Registered Dental Assistant Program and tour the clinic and classroom. Contact Andrea Stilwell for more information.